Do you adore 1950s retro style? 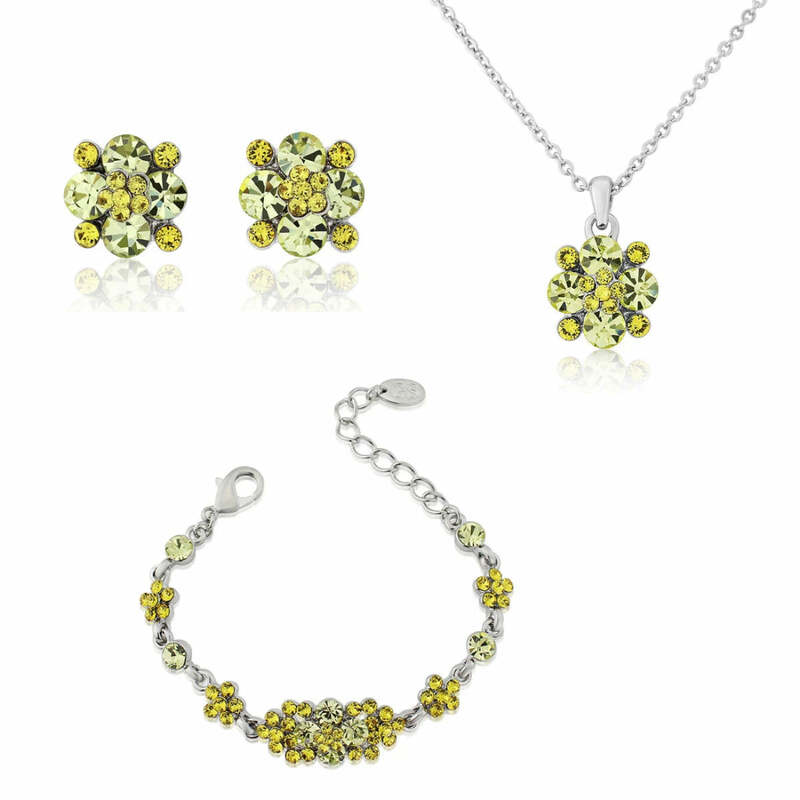 If so, you will love Delicate Sunshine Jewellery set with coordinating yellow crystal earrings, pendant and bracelet. 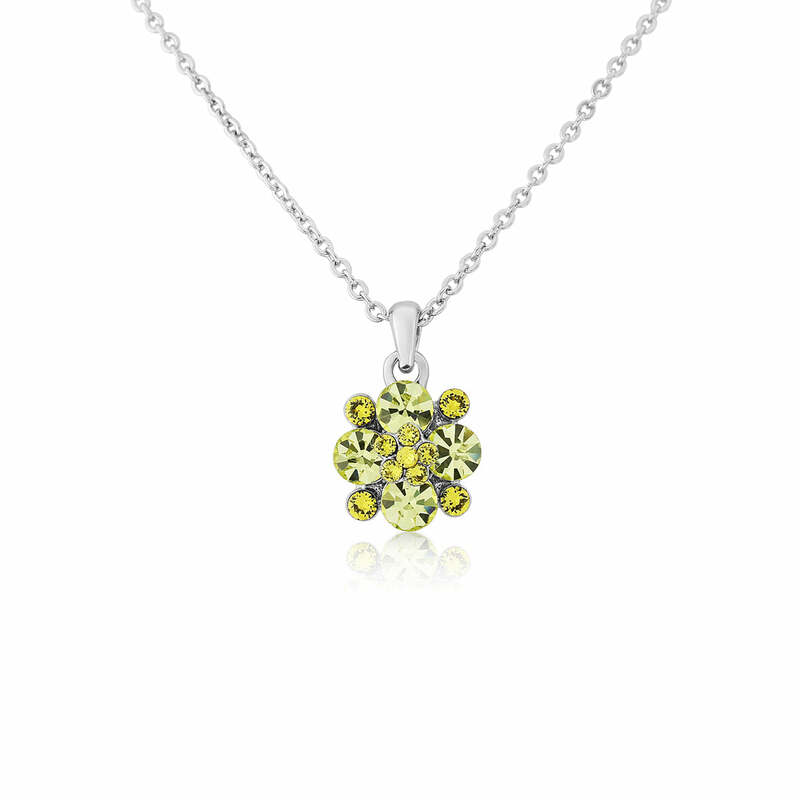 Our stunning Delicate Sunshine Jewellery Set instantly adds a pop of cheerful colour to any outfit. 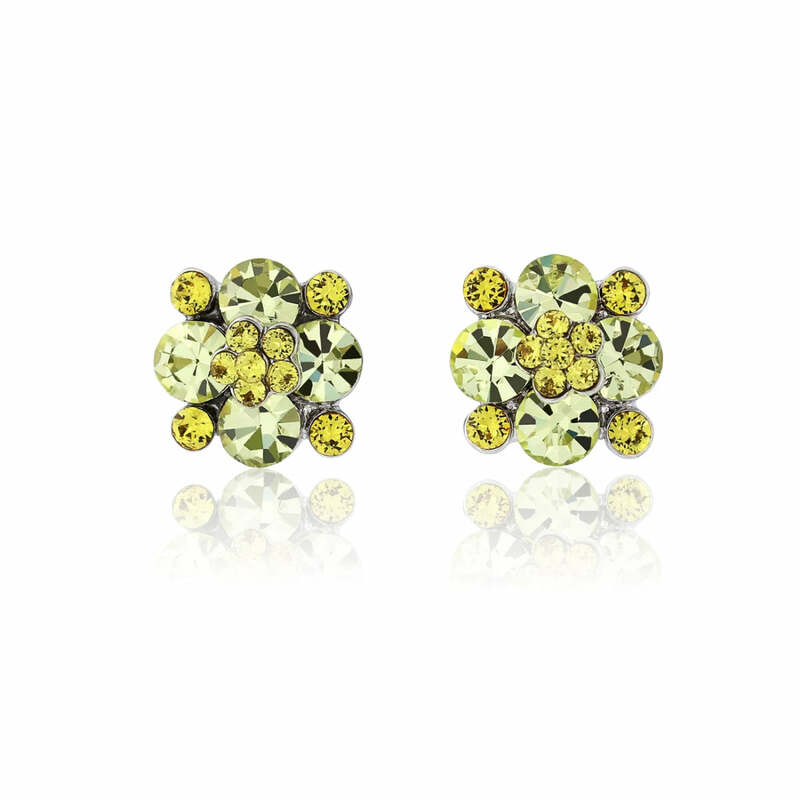 Inspired by 1950s retro accessories, this fabulous collection consists of a matching pendant, bracelet and stud earrings adorned with clusters of sunny yellow Austrian crystals. 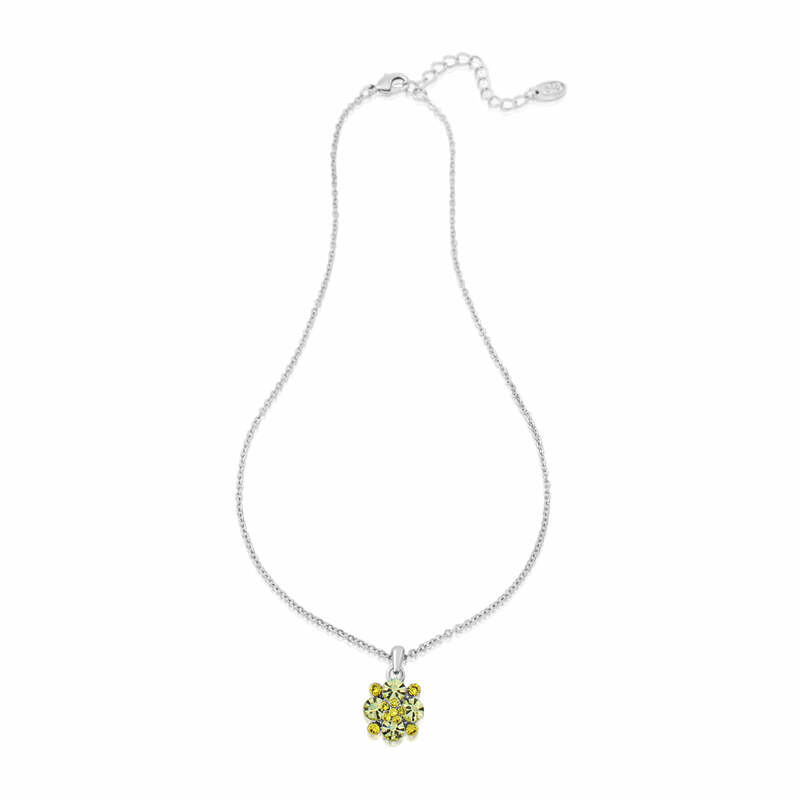 The perfect wedding jewellery set for brides or their bridesmaids to enhance a retro wedding theme, team with a bouquet of daisies or sunflowers and a pair of yellow shoes for a chic coordinated special day style. Beyond the big day, Delicate Sunshine will take you to every special occasion with vintage charm. Complement a cute floral tea-length dress for the races or go for a 60s vibe with a backcombed Beehive and let your jewellery make a colourful statement for a trendy party.